Bissi Bele Bhath is a rice preparation popular in Karnataka. In kannada language it is also known as ‘Bisi Bele Huliyanna’ which means hot lentil rice. 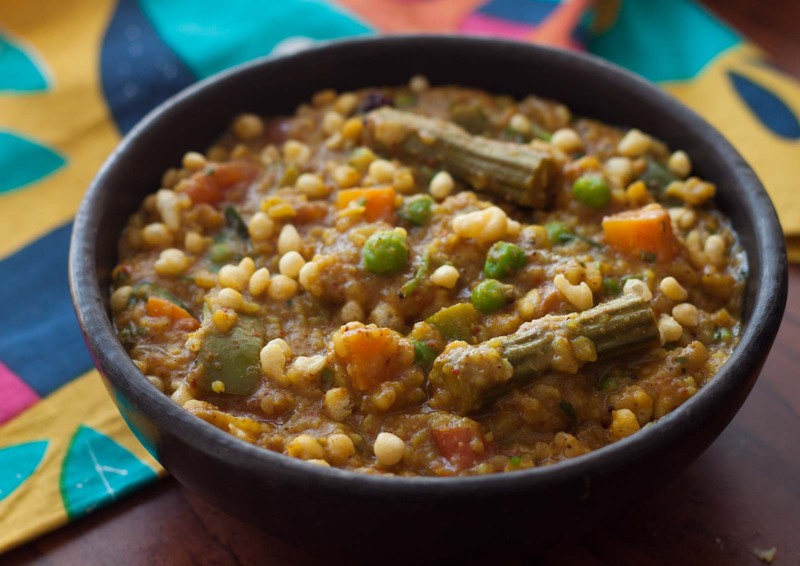 It is a type of khichdi with rice, arhar dal, tamarind, jaggery, veggies, curry leaves and spices. 1.1. Fry the dal chini, sookha nariyal, sabut kali mirch in a tablespoon of oil. 2.2. Grind the dal chini, sookha nariyal, sabut kali mirch, channa daal, sabut dhania, red chillies and the onions into a paste. 3.3. Cook rice and daal together to a soft and wet consistency like a soft khichdee. 4.4. Mix together the rice mixture, vegetables, masala, imli and gur. 5.5. Heat the 1 Tbsp oil and add the mustard seeds, curry leaves and cumin. When the seeds splutter, add the rice mixture and serve hot.